I’ve had a lot of chicken noodle soup in my day, and I do believe nothing cures the common cold except a big bowl of hot soup. That was before I went vegetarian, of course, but I still make it for the carnivorous people I heart. My husband is about 80% vegetarian, and what meat he does eat is usually more in the style of Asian cuisine, where the meat is an accent–not the main dish. Whenever he gets sick, he always special requests my chicken noodle soup. 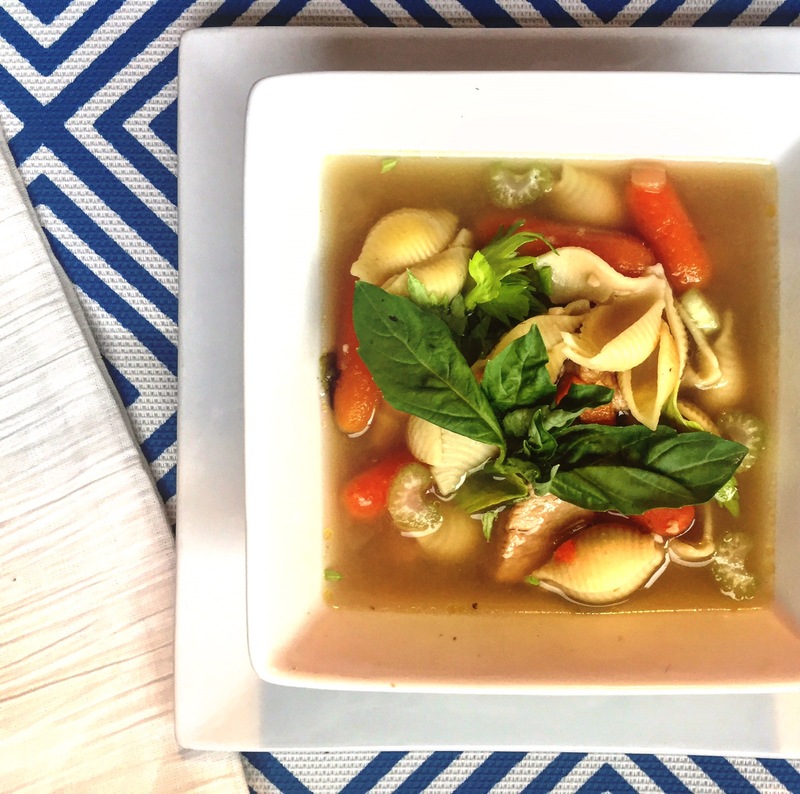 I love cooking up a big batch of this soup whenever I make it. It smells soooo good, and it takes me back to so many happy childhood memories. To me, childhood smells like coming in from a snowy day and finding a big pot of chicken noodle soup simmering away on the stove. My mom is pretty awesome, for sure. Except she refused to let my sister and I eat Captain Crunch, which I think is ethically questionable and highly cruel. Aaaaaanyway. I can’t take credit for the recipe though: it’s my mom’s and it’s fail-proof. It’s also southern as a belle, and like all great southern recipes, it takes time to cook. The prep time is a breeze, so you can either throw this in a crock pot or set it on the stovetop and let it have a nice, long simmer. Also, my mother believes love is the secret ingredient to all southern dishes…who am I to argue with that? All this time, I thought it was butter. It really is butter, isn’t it? Just ask Paula Dean. 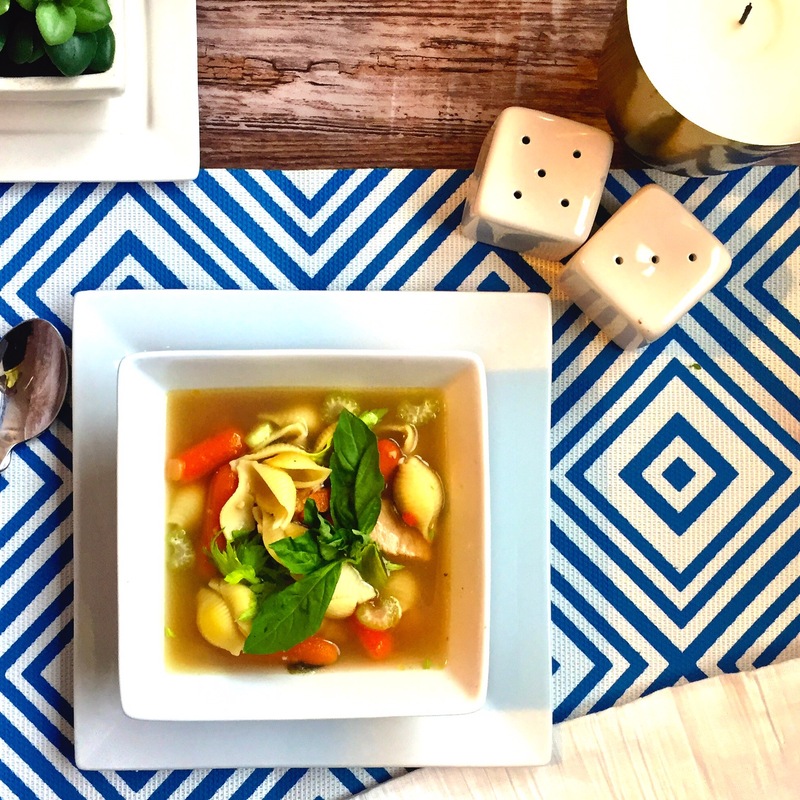 I adjusted my mother’s recipe to make it gluten-free and a bit healthier, but obviously I kept the main ingredient in there;) No wonder my husband loves eating a bowl o’ chicken noodle soup when he’s feeling under the weather! Lightly sauté your diced carrots, onions, and celery with your garlic. This really opens the vegetables and brings out the flavors in the soup. It makes a world of difference, I swear. You’re goal isn’t to pre-cook the veggies, just enhance the flavor profile, so it only take a couple of moments. Likewise, I like to season and sear my chicken, but this is optional. A nice, slow cook will ensure really delicious, tender meat no matter what. Pour in the pre-made chicken stock (I use bone broth for mine), and toss in all other ingredients except the noodles. Bring to a boil, then turn down to low and let it simmer for about 3-4 hours, or until baby carrots are soft. Trust me, don’t rush the timing. A slow (torturous wait for sure) cook really lets all the flavors marinate and every spoonful will be layered with rich, scrumptious flavors. The noodles: GF noodles turn to horrible, terrible, no good very bad mush if cooked for too long. They’re the delicate, temperamental orchids of the noodle family, that’s for darn certain. They also soak up liquids, so prepare according to the package instructions, and then add them individually to each bowl you serve. TIP—> The key to gluten free noodles is do not overcook them. Most types of GF noodles cook in about 4 minutes using a gentle, rolling boil. I find the best way to get a true al dente texture is to soak them in very hot water for about 20-25 minutes in the style of many Asian dishes. And that’s it! 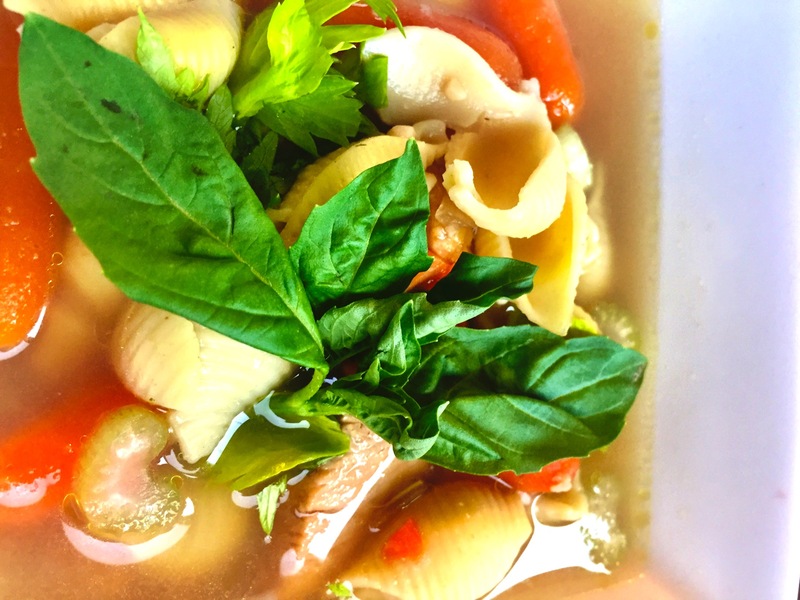 The best ever gluten free chicken noodle soup, made with minimum effort and a lotta love!